Quarter-time in the Third versus Fourth game. South Australia went on to win by two goals. 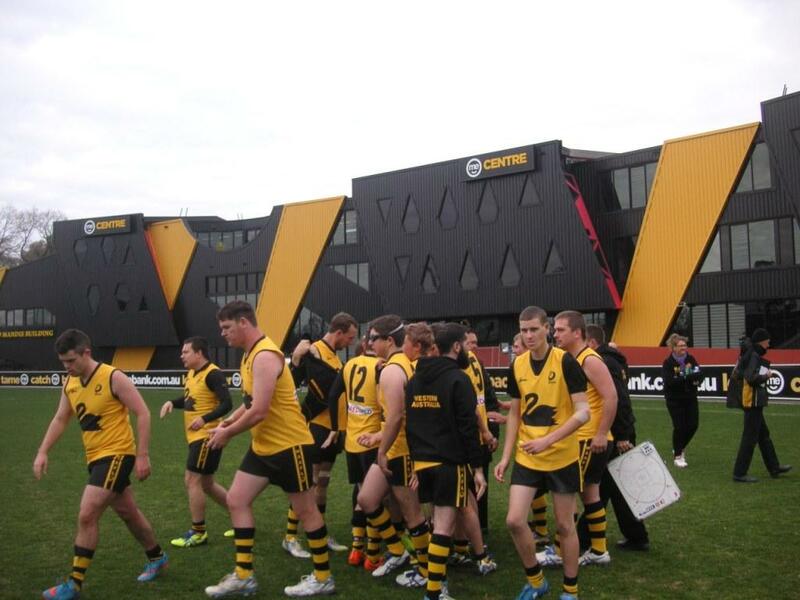 The final day of the 2015 National Inclusion Carnival was held at Punt Road Oval in Richmond on Sunday 9 August. 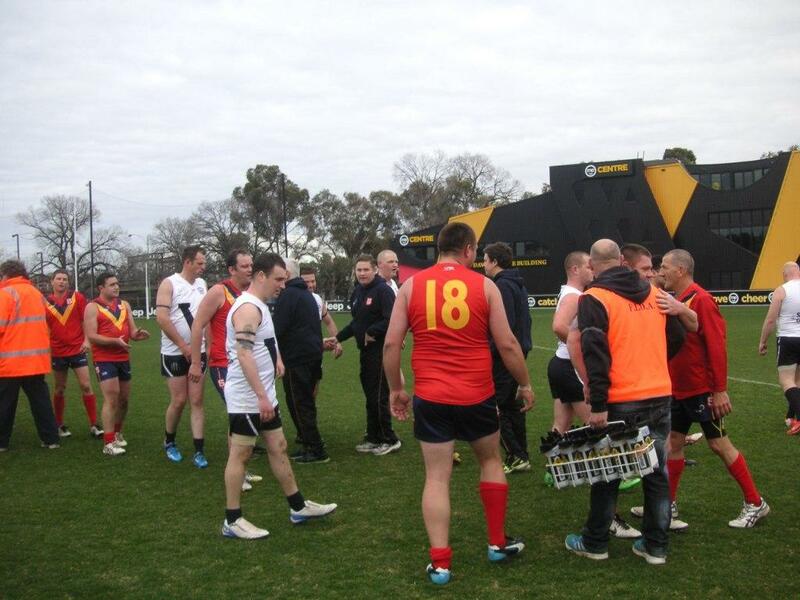 Earlier in the week games were played at North Port Oval and Victoria Park. 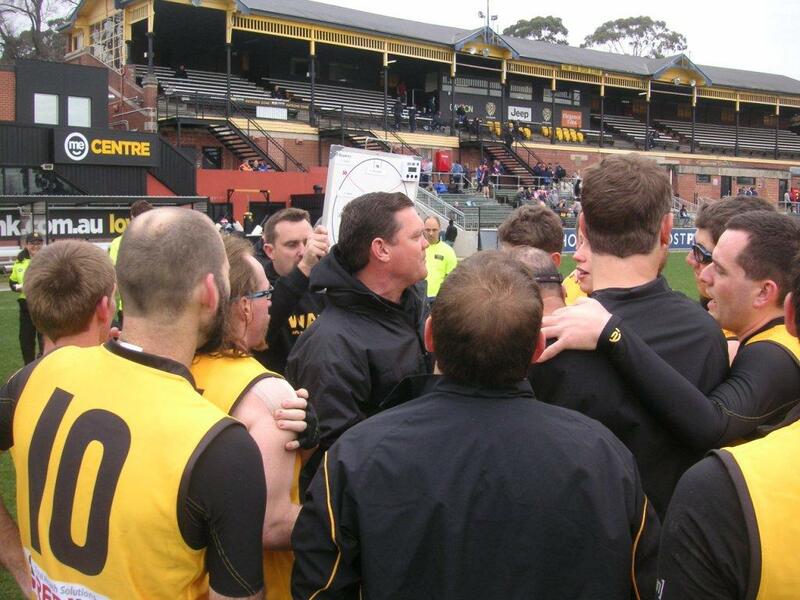 Scoreboard Pressure dropped into Punt Road to catch some of the best players in intellectual-disability footy from around the country. 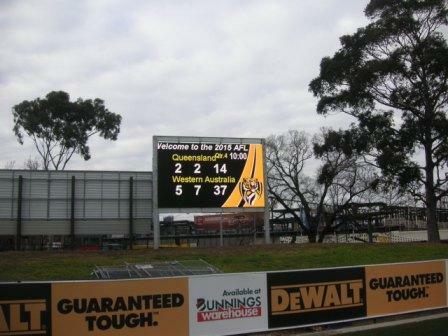 And, yes, to check out the new scoreboard on the Punt Road wing. One more quarter for WA, who went on to win the Fifth versus Sixth game against Queensland. Now that’s a state jumper. Black swan. Gold background. Good stuff. Congratulations to all teams and players. Vic Metro proved too strong, going through the carnival undefeated. 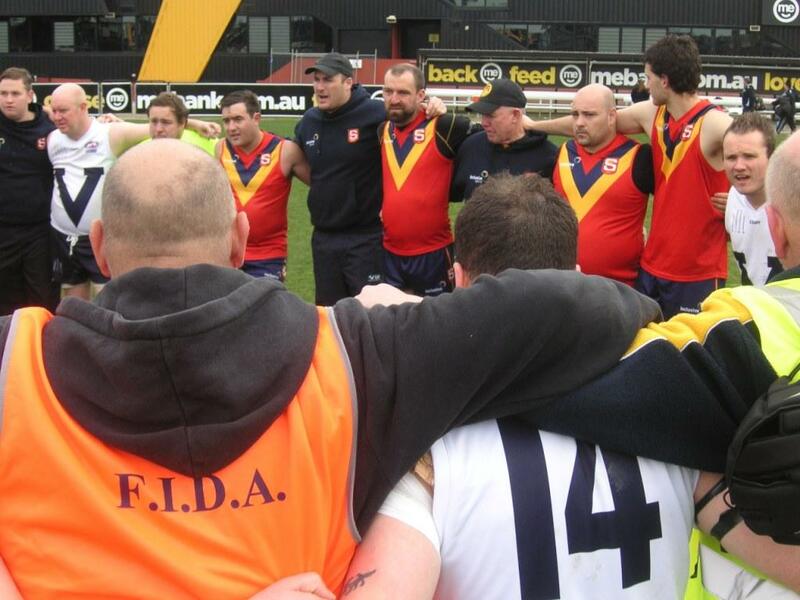 The spirit of the game, the spirit of FIDA footy: Vic Country and South Australian players shake hands (above) and unite arm-in-arm (below). 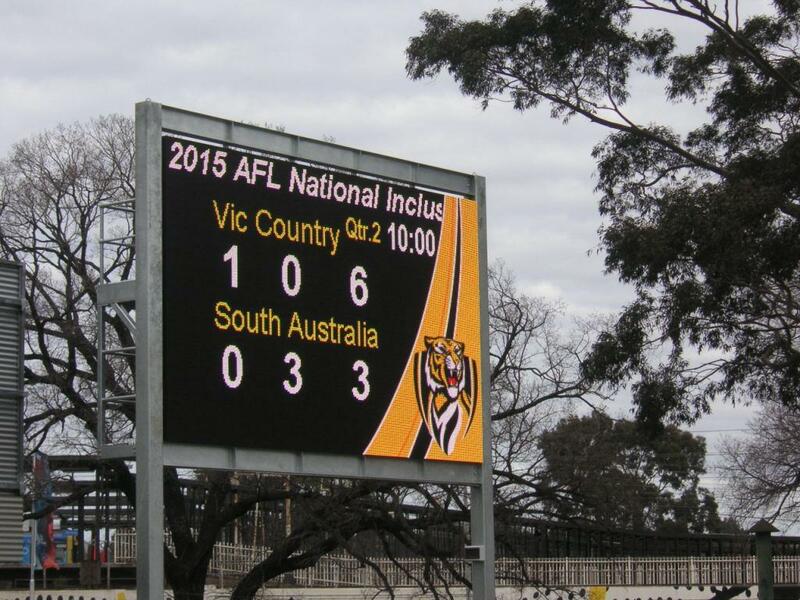 There’s a rumour that one of the old Punt Road scoreboards is now in Ringwood. For seriously good info about the Punt Rd ground head for The Holy Boot’s Football Emporium. It’s a beaut.